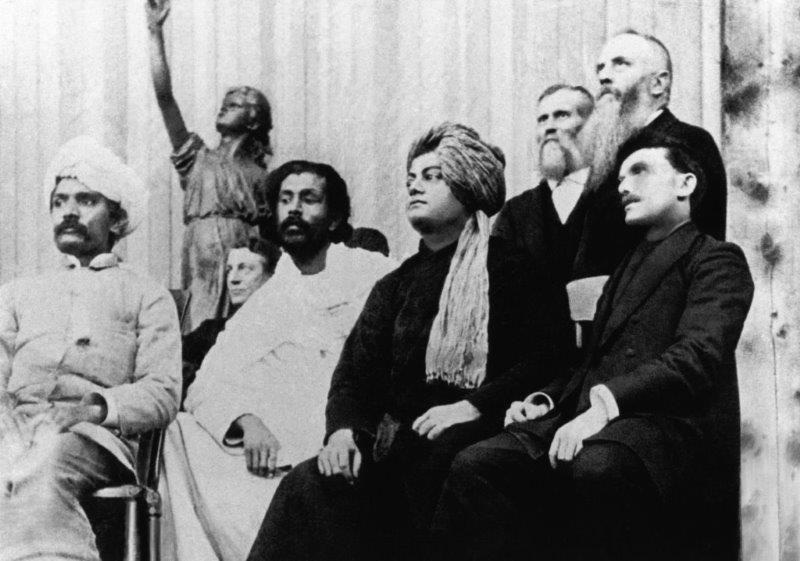 Swami Vivekananda on the platform at the Parliament of World Religions, September 1893. Swami Vivekananda was also the author of Raja Yoga, a groundbreaking treatise that became a bestseller in India and around the world. In the book, Vivekananda writes that “Raga Yoga. . .never asks the question of what our religion is. We are human beings, that is sufficient” (Raja Yoga, 1896). His teachings helped shape modern discourses on yoga, which we will explore in greater depth when Yoga: The Art of Transformation opens on October 19. Listen to Swami Vivekananda’s speech from September 11, 1893. Learn more about Swami Vivekananda and his connection to Charles Lang Freer.